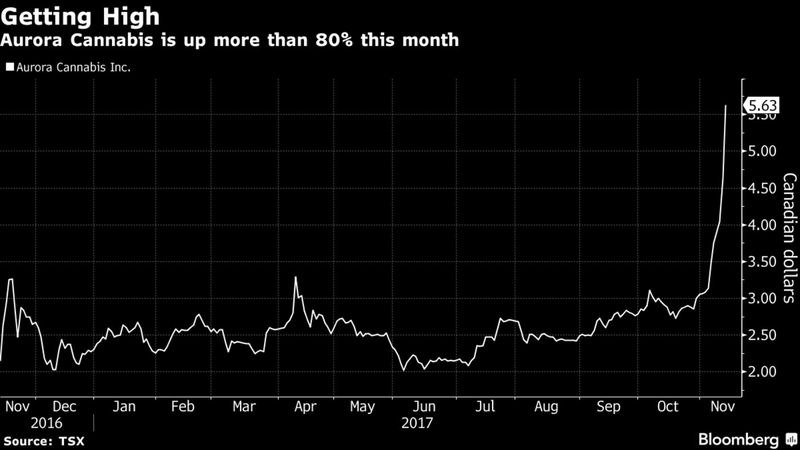 Aurora Cannabis Inc. jumped as much as 24 percent and is now up more than 80 percent this month, fueled by rising revenue and speculation it can secure a strong market position in Quebec’s legalized cannabis market. 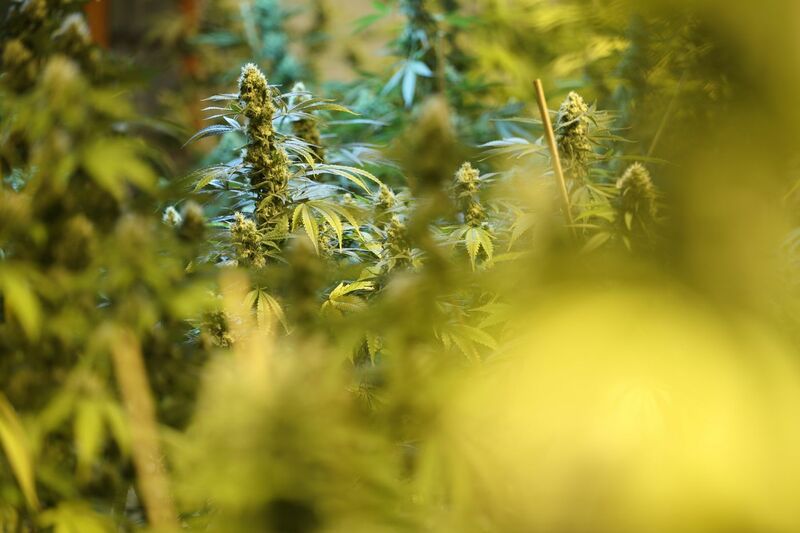 Aurora’s weed-growing facility in the province received a cultivation license, putting it in a favorable position, said Chris Damas, the editor of the BCMI Report in Barrie, Ontario. Aurora was 21 percent higher at C$5.61 at 12:19 p.m. in Toronto, giving the company a market capitalization of C$2.25 billion ($1.77 billion). Canopy Growth Corp. rose as much as 3.9 percent while Aphria Inc., another producer, climbed 8.4 percent. All three rallied Friday after the Canadian government proposed a tax of C$1 a gram for legalized recreational pot. “We have a ‘melt-up’ in the marijuana stocks,” Damas said Monday in a note. The frenzy surrounding Canada’s pending recreational cannabis market shows no sign of abating ahead of the planned legalization of recreational marijuana in July. Canaccord Genuity Group Inc. estimates sales could reach C$6 billion ($4.7 billion) annually by 2021. Companies identified with recreational marijuana, as opposed to medical pot, are surging the most amid speculation they’ll get investment from alcoholic-beverage companies, Damas said. Last month, Corona beer seller Constellation Brands Inc. agreed to buy a minority stake in Canopy, the first major foray by an alcohol company into Canada’s nascent weed industry. Quebec’s government is expected to release rollout plans for recreational cannabis imminently, and local producers are best positioned to benefit, Beacon Securities analyst Vahan Ajamian said in a Nov. 9 note. Aurora is one of two licensed producers in Quebec and anticipates its first harvest from Pointe-Claire in the first quarter of 2018, he said.